On 29 September 2016, a lunchtime event hosted by the Centre for European Policy Studies (CEPS) in Brussels, Belgium, brought together a number of researchers and policy experts from Europe to assess the ways to implement the EU Global Strategy, insofar as conflict prevention and peace building is concerned. The event was chaired by Steven Blockmans (Head of EU Foreign Policy at CEPS) and the speakers were Anna Penfrat (Senior Policy Officer of EU-CIVCAP partner EPLO), Erwan Fouéré (Former EU Special Representative to FYROM and Senior Associate Researcher at CEPS) , Erik de Feijter (Deputy PSC Representative and CivCom delegate at the Permanent Representation of the Netherlands to the EU) and René van Nes (Deputy Head of Division, CSDP Coordination & Support at the European External Action Service). Conflict prevention and peacebuilding are at the heart of the EU’s external action. Both the Lisbon Treaty and the new EU Global Strategy attribute special responsibilities and aims to the EU to promote and preserve peace, prevent conflicts and strengthen international security. However, looking at the security map of the Union’s outer periphery and further afield, the challenges are immense, at a time when internal political cohesion seems weak. How can the EU as a collective actor make good on the lofty goals that the main legal and policy frameworks ascribe to it? That was the central question occupying minds at the Conflict Prevention and Peacebuilding Forum organised by CEPS and EPLO in the context of the EUCIVCAP project in Brussels on 29 September 2016. All speakers agreed that EUGS represents a major opportunity for the EU to strengthen its support for conflict prevention and peacebuilding globally. René van Nes kicked off the debate by saying that the EUGS should serve to ensure that the EU’s external actions are not perpetually crisis-driven. The EUGS offers long-term perspectives and stresses the need to pay attention to conflict prevention and post-crisis management. In an integrated approach to conflicts, the EU ought to act at all stages of the conflict cycle: promptly on prevention; responsibly and decisively to crises; investing in stabilisation; while avoiding premature disengagement when a new crisis erupts. As such, the EU ought to implement a multi-dimensional and multilateral approach through the use of all available policies and instruments aimed at conflict prevention, management and resolution. Anna Penfrat deplored that in the given climate of insecurity which currently seems to dominate discourse within Europe, there is an increasing demand for highly visible, short-term responses based on a very narrow definition of security, which, in her organisation’s view, may unintentionally exacerbate conflict risks and undermine the EU’s efforts to tackle the root causes of violence. In her opening remarks, she stressed two elements: (i) the need for more specific activities in conflict prevention; and (ii) the need for more conflict sensitivity in EU external action. Despite the overall consensus on the importance of addressing the different dimensions of conflicts, including their root causes, she espoused the view that conflict prevention remains the poor relative of the EU’s external relations in terms of the relatively limited political attention and human and financial resources which it receives. Whilst she considered the level of human and financial resources sufficient in terms of EU civil capacities for good conflict analysis at HQ level, she stressed the need for more conflict sensitive appointments at EU Delegation level (i.e. diplomats with conflict expertise for appointments in conflict areas), a point which resonated with former EUSR and Head of Delegation Erwan Fouéré. Erik de Feijter complemented the two earlier interventions by explaining his role as CivCom delegate, a body which is not generally known of being composed of conflict experts (ed: the latter is CEPS’s addition). He then positioned the EUGS in the context of the 2013 Joint Communication on the Comprehensive Approach to External Conflicts and Crises, as well as the 2016 Joint Communication on the EU’s role in Security Sector Reform, which he hoped would be endorsed before the end of the year. He stressed the importance of preventing EU overstretch and advocated for a small-is-beautiful approach to sustainable peace building, i.e. a tailor-made approach to post-conflict situations in order to effectively rehabilitate societies. In this context, he, like van Nes in the ensuing discussion, suggested that whilst the CSDP is primarily a state-oriented capacity-building exercise, the EUGS reinstated a much-needed focus on building ‘resilience’ of societies. Erwan Fouéré welcomed the focus in the EU Global Security Strategy on an enhanced role for the EU in peacebuilding and observed that a comprehensive action plan would be required to ensure that both the EU delegations and the EUSRs have the resources and capacity to respond to this challenge. He pleaded for the creation of a ‘memory bank’ for lessons learned (e.g. Northern Ireland), to be applied elsewhere (cf. South Africa; Colombia). He noted that the EU’s commitment to supporting the role of civil society in conflict situations remains haphazard, with the failure to engage with civil society in the ongoing political crisis in Macedonia being a classic example of how it should not be done. He asked whether the commitment, in relation to pre-emptive diplomacy and conflict resolution, to interact with civil society will be more than just ‘window dressing’. The debate with the audience revolved partly around the geopolitical context for the implementation of the EUGS, and partly around the concept of ‘resilience’. With regard to the former, the question was asked whether, in view of the failed states and strategic competitors on its outer periphery, the EU’s approach to capacity-building was still up to date. Erik de Feijter offered that, unlike the 2003 ESS, the 2016 EUGS was far more defensive in the definition of interests and objectives for external action. This, he argued, was very much a reflection of the changed geopolitical landscape in which a crisis-afflicted EU has to operate. With regard to the latter, the question was raised whether the EUGS was too state-centric, with the EU focusing first and foremost on the protection of its interest in being surrounded by stable, but not necessarily democratic, neighbouring countries. Here, René van Nes pointed to the wider definition of resilience in the strategic document, and the focus on the concept of ‘human security’. In response to an appeal for greater inclusivity (a point which Fouéré had raised with regard to the need for greater involvement of women in EU conflict prevention and peace-building), van Nes agreed that the implementation phase of the EUGS would need to pay further attention to the involvement of young people pursuant to UNSC Resolution 2250 (2015). Van Nes said that the EU should ensure that conflict prevention is integrated into all relevant areas of its external action, including development cooperation, neighbourhood, trade and investment policies. The reflection in the new guidelines for the implementation of the European Neighbourhood Instrument to ask applicants to offer a conflict sensitive approach to project proposals, he hoped, should cater for better and more effective programming. Anna Penfrat suggested that the EU’s conflict prevention efforts should not be limited to geographical areas where crises are acute or imminent. Conflict prevention involves the progressive reduction of the underlying causes of armed conflict and goes far beyond the prevention of crises. It is therefore important that the EU continues to support long-term conflict prevention in countries which are not necessarily currently in the media spotlight, including through early warning, conflict analysis, dialogue and mediation support. Generally speaking, the panelists agreed that adopting a conflict prevention approach to EU external action is crucial since it means developing a more strategic and political view which can enable policy-makers to anticipate better the consequences of the EU’s actions on conflict dynamics and plan accordingly. It minimises the risk of inadvertently exacerbating existing tensions and can enhance the long-term peace-building impact of the EU’s efforts. 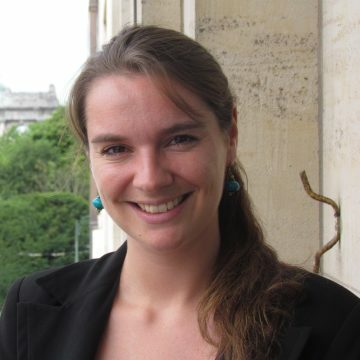 Anna Penfrat is Project Officer at EPLO. She coordinates the work of EPLO on EU institutions and policies, including the Common Security and Defence Policy, as well as on EU-Africa relations. 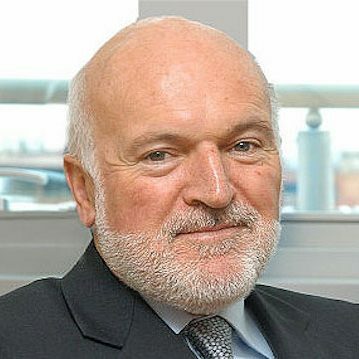 Erwan Fouéré was the first to assume joint responsibilities of EU Special Representative and Head of Delegation in the EU External Service when he was appointed in this double capacity in Macedonia (2005-10). 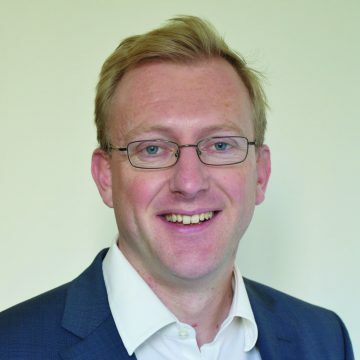 Steven Blockmans is a senior research fellow and the head of the ‘EU foreign policy’ and ‘politics and institutions’ units of CEPS.